The St.Mary Angler has been providing guided fishing trips in the Kootenay region of Southeastern British Columbia since 1992. 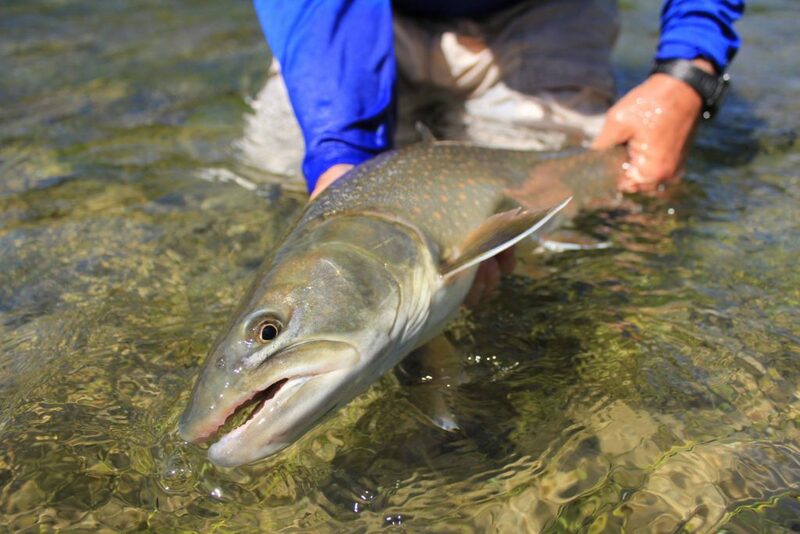 We provide guided trips on the St.Mary, Elk, upper Columbia, Kootenay, Bull and Skookumchuck rivers. We will also take anglers into other select small streams on occasion. The St.Mary Angler is a fully licensed and insured guide service. Details available upon request. St.Mary Angler is operated out of Cranbrook B.C. by Kelly and Karen Laatsch. In addition to guided fishing trips we operate the St.Mary Angler Fly Shop, a full service fly fishing pro shop located in Cranbrook. Kelly is also available to make presentations or teaching seminars to interested fly fishing clubs and associations. Kelly provides the overall management direction for St.Mary Angler, as well as being a full time guide. Kelly was born in southeastern B.C. and has lived in Kimberley since 1997. Kelly has been fly-fishing and tying flies since he was a boy. He grew up in southern Alberta and spent much of his youth learning the art of fly-fishing on the Crowsnest, Oldman and Castle rivers. He has been guiding in southeastern British Columbia since 1992. Kelly is very serious about his approach to guiding. He prides himself on his ability to give fishers the best opportunity possible to hook and land fish in a comfortable and safe environment. Kelly believes an angler should be proficient in all types of fly fishing techniques (dry, nymph and streamer) if one wishes to become an accomplished fisher. His rationale is that one never knows when you need to use one of the techniques over the others because of what the conditions dictate. Kelly likes to think of it as a balanced approach where one has a broad understanding even if one tends to use one particular technique more than the others. And this is the broad based approach that Kelly has taken in the development of his craft. As the General Manager of the St.Mary Angler for over 20 years, he is proud of the level of service provided and the fishing venues that he can offer to clients. Kelly is also an accomplished fly tier with numerous fly patterns to his credit. Kelly has made presentations to numerous fly fishing clubs in the West about fishing in the Kootenays. Some of the locations include; Vancouver Washington, Spokane, Seattle, Tacoma and Portland. Kelly has fished on most of the major trout streams and rivers of the West in both Canada and the United States. In addition to the rivers of southeastern B.C., he has fished the rivers of southern Alberta. Kelly has spent time on the San Juan River in New Mexico; the Madison, Bitterroot and Gallatin rivers in Montana; the Deschutes and John Day rivers in Oregon, as well as the rivers of Washington's Olympic Peninsula, to name only a few. Kelly’s lake fishing experience is equally extensive. He has fished most of the quality fishing lakes of the Kootenays, many of the lakes of the Kamloops region of the interior of B.C., as well as on the high desert lakes of New Mexico and Arizona. Kelly has spent time fly-fishing the saltwater species of the Florida Keys, Belize, the Bahamas, Christmas Island and Mexico. Every year Kelly hosts groups of anglers to bonefish, giant trevally and permit destinations around the world. In describing why he is drawn to the waters of Southeastern British Columbia, Kelly says it is the, ‘breathtaking scenery, relatively low angler pressure, and great fishing”, that draws him here. John (aka Big John) has lived in the Kimberley area for over 30 years and has been guiding in Southeastern B.C. for over 15 years. Initially John was apprehensive about guiding because of his concern that it would turn his passion for fishing into a “job”. But after accepting the invitation to guide from Kelly, John really enjoyed the experience and has found that it does not diminish his passion for fishing at all. John’s approach to guiding anglers comes with the same level of enthusiasm and patience he shows when taking family or friends out for a float. Johns wants to ensure everyone on his trips is comfortable, has a good time out on the water and is given a good opportunity to get into fish. 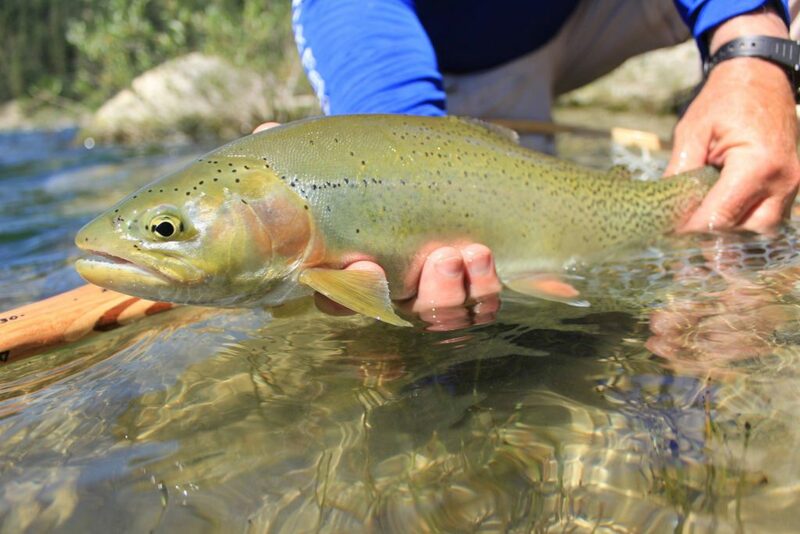 In the course of making hundreds of trips down the St.Mary and Elk rivers, John has gleaned a tremendous amount of knowledge about what motivates our population of Westslope Cutthroat Trout. In particular, John has acquired an extensive understanding of how to dry fly fish for cuts. Cutthroat trout take flies differently than rainbows as they take a lot more of their food off the surface so the approach to fishing cutthroat is unique. John brings a lot of patience to his guiding. He has been involved in coaching youth sports for more than 40 years. This extensive experience has provided him with the crossover skill to teach and coach fishers, men and woman alike, with care and dedication. John wants all his fishers to enjoy the sport as much as he does. John grew up fly-fishing the lakes in the Okanagan and Kamloops area of South Central B.C where he developed a great understanding of stillwater fishing techniques. John moved to Kimberley in 1979 and fell in love with fly-fishing the rivers of southeastern B.C. Since then he has been dry fly-fishing the St.Mary, Elk, Bull, Skookumchuk, and Kootenay rivers where he has been perfecting his technique ever since. Over the years he has had the opportunity to fish lakes and rivers all across B.C. John’s favorite place to fish in the Kootenays is the Skookumchuck River which has a special place in his heart. Karen is a co-owner of the St. Mary Angler. She oversees most of the administrative requirements associated with booking and managing the guided fishing trips, as well as the day to day operation of the fly shop. So when you book a trip, or pop to the shop to pick up some flies, you will be talking to Karen at some point. Karen is an accomplished fly-fisher. She was born and raised in southern B.C. and has lived in Kimberley since 1997. She first started fishing as a child with family and has been an avid fly-fisher for over 20 years. She considers herself a good student of fly-fishing and continues to learn different techniques as she fishes locally and around the world. Karen has fished the many different waters of southeastern B.C. including; the cutthroat laden waters of the Elk, St.Mary and Bull rivers, as well as its rainbow rich high mountain lakes. She has lots of experience catching the big rainbow trout on the upper Columbia River. East of the Rockies in the Province of Alberta, she has fished for brown trout on the Bow River. In the U.S., Karen has fly fished widely including; the Madison River (Montana), the Fire-hole River (Montana), the Green River (Utah), the San Juan River (New Mexico) and the Blue River (Colorado). In terms of tossing streamers for steelhead, she has made several successful trips to the John Day and Deschutes rivers in Oregon. Farther afield, she has also caught bonefish/GT's in Belize, the Bahamas, Mexico and Christmas Island. 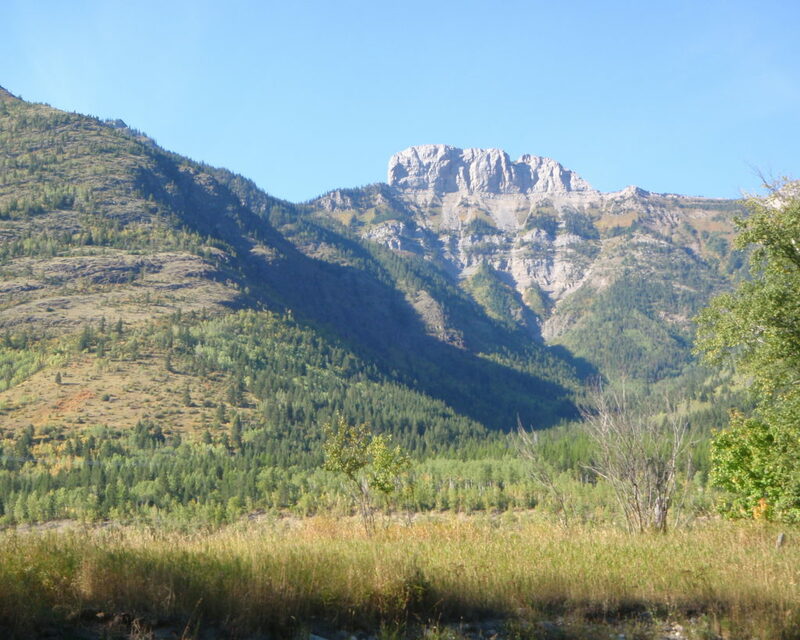 Karen has been able to grow her skills as a fly fisher in the course of fishing many different rivers, lakes and ocean flats for cutthroats, bulls, rainbows, red bands, browns, steelhead and bonefish. In terms of fly fishing skills and techniques, Karen knows all the standards well, be it dry fly-fishing, nymphing or swinging a streamer. She also has successfully stalked bonefish on the flats and has a lot of experience chironomid fishing in alpine lakes for rainbow trout. Karen continues to learn and build on her fly fishing knowledge, technique and experience. So when you call the shop about booking a trip, or come in to pick up a hand full of flies, Karen will handle your enquires with a high level of understanding, experience and professionalism. "My favorite memory of fly-fishing was on the Elk River a few years back. It was a clear, crisp fall day when the leaves were in their fall colors. I was in the act of trying to reach a big cutthroat feeding across the River with my dry fly, when I looked upstream to see two Elk crossing. In the next moment I put in a great cast across the Elk, then put in a big mend. I waited watching my dry fly float naturally down the run and with great awe I saw the cutthroat’s nose come out of the water and sip down my bug! The fish was on and I was so excited!!! What a great fight and run. This was a great moment and a memory, which keeps me coming back for more!" Nate has been guiding in southeastern B.C. for five years. He has long loved the outdoors and with so many great trout streams in the Kootenays it was inevitable that he would find a love of fishing. Nate is a true local, catching first fish on the St.Mary as a child. Nate likes to provide those who fish with him with a level of instruction that puts them in a position to catch fish. For the beginner this may include a significant amount of teaching. For those experienced anglers, Nate concentrates on positioning the boat so they get into a place to cast into the most promising water. Nate also likes to create a comfortable atmosphere on the boat to ensure everyone has a good time out on the water. Nate prides himself on his patience and ability to know when to instruct those who fish with him, while always keeping boat positioning as the priority.